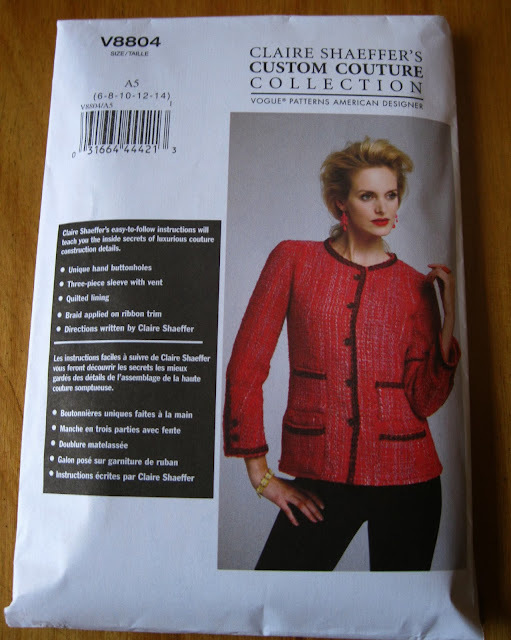 If you are sewing Claire Shaeffer’s Vogue Pattern V8804, for a Chanel-like cardigan jacket, and wish you could have Shaeffer herself show you how to, say, quilt the lining to the shell fabric or construct a three-piece sleeve, I’m happy to announce your wish has been granted! Shaeffer, couture sewing techniques expert, has penned a new book, Couture Sewing: The Couture Cardigan Jacket, Sewing Secrets from a Chanel Collector, which includes a DVD! 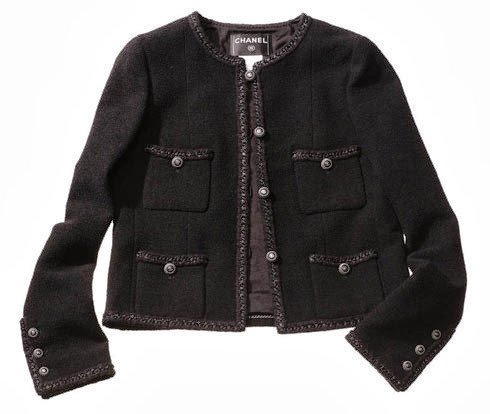 Combined, Shaeffer will show you from start to finish how to make a Chanel-like jacket of your own. From my chat with Shaeffer I can tell you that she is an expert on Chanel—not only the woman, but the house, its techniques, and its history. Her book is a must for every lover of Chanel, whether you are making Mademoiselle’s famous jacket or just want to learn about its meticulous couture details. 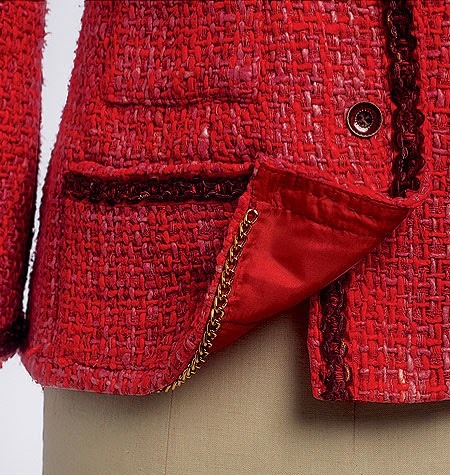 With brand-new Chanel jackets running in the four figures and up, plenty of sewers have thought of making their own, but the task can seem daunting, even to a sewing professional, so how did Shaeffer uncover the jacket’s design secrets? “I never had access to their workrooms,” Shaeffer says of the Chanel atelier. Her repeated requests to make a visit were denied but that did not deter her from learning how the jackets are constructed. She looked at 200 Chanel suits and owns approximately 30 of them herself—from ready-to-wear to couture to copies. 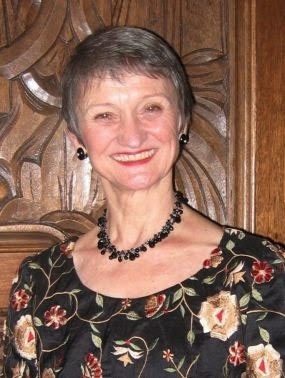 The extensive examination has given her impressive and deep knowledge of the techniques Chanel uses, and to pass on some of this expertise to readers, twelve of the jackets Shaeffer owns will be included in the book as a small portfolio, showing the design and fabric of each. Also included will be the names of designers at Chanel between 1971, when Coco died, and 1983, when Karl Lagerfeld began his long reign there. Another unique feature of the book will be a chapter on Chanel copies, which, back in Mademoiselle’s day, were sanctioned and a big business unto themselves. Features of V8804 include patch pockets and a chain weight sewn by hand. Important questions for anyone wanting to make the jacket are: Do you need to have a lot of sewing experience before you attempt it? And just how long will it take? Shaeffer says it takes approximately 60-80 hours to sew the jacket, with all bastings. “Intermediate home sewers can make this jacket if they have patience and follow the directions without skipping steps,” she says. The Chanel jacket of my dreams! Can I learn to make it myself? 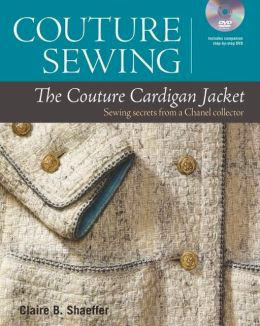 Couture Sewing: The Couture Cardigan Jacket, Sewing Secrets from a Chanel Collector is out this month from Taunton Press. Love learning about the woman behind the sewing, Jill. I agree the jacket you selected is fabulous!! Fascinating! I haven't sewn clothes in many years, but I still remember the importance of basting:-). I don't think I could honestly devote that many hours for one jacket. Bravo to those who could. Well her one word, baste, gave me a headache!!! I have beeb sewing since i was 12; and never basted. Altho i am intrigued by her book, i suspect this would be a daunting project! And how jealous an i that she has 30??? I can barely sew a button on a shirt so anyone who makes a wearable item of clothing is a rock star in my world....to make a jacket like Claire's is just mind boggling and so impressive! I am always impressed the dedication and exactness to detail that sewing and fashion design take. That said my bio/birth sister (I was adopted) ended up becoming a head designer for St. John Knit in California. I toured the production centers, work rooms and fashion shows. Fascinating! I'm heading down to spend the weekend with my sister. She is working on a clothing line of her own. Some of which I hope to carry in my Stylemindchic Boutique. I'll also be meeting uber stylish Tamera B. this weekend. By the way-your jacket is really coming along. I'm so impressed! I can't sew a button on a shirt so kudos to all of you who could produce anything like this! I'm curious about something... are there different qualities of Chanel jackets? (couture and off the rack). Cuz I've seen Chanel jackets in resale stores for high three figures and then the math of 60-80 hours work doesn't add up (for me). I think I'll get the book tho... my wife can sew altho she hasn't kept her skills up, and it seems like fun just for the history. Jill, another well written and cohesive post. I grew up with my parents owning a fabric store and I am still in awe of anyone being able to complete pieces with such extreme craftsmanship! I'm so excted about this book! I just ordered it and I've gotten my jacket project out of hibernation and jumped on the new sew-along. Its really wounder full looking i really appariceate to make this blog thanks for shared!